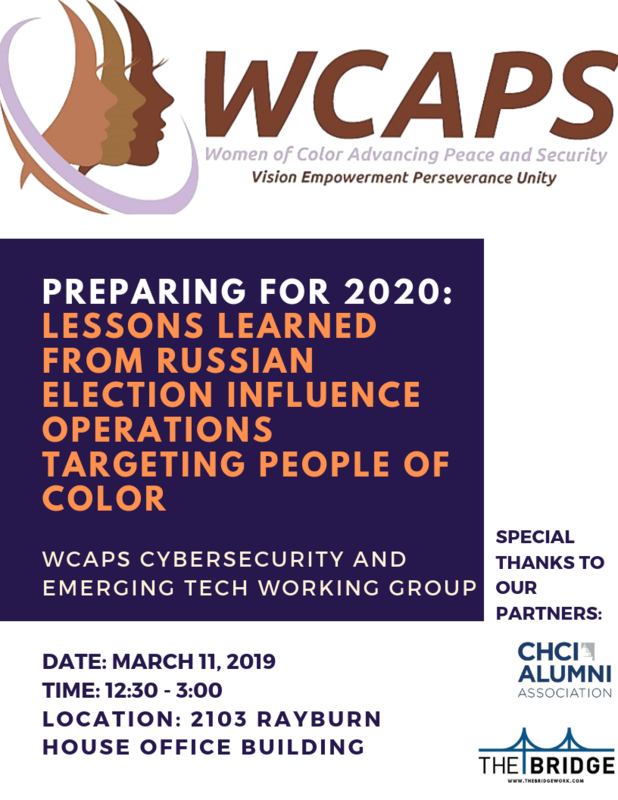 This working group will focus on the impacts of emerging technology and cybersecurity on communities of color with an emphasis on women of color. Technology has the power to bridge divides and empower underserved and underrepresented communities. However, the unique needs of communities of color are often an afterthought as new capabilities promulgate as well as these communities are largely unaware of the cybersecurity and privacy concerns and trade-offs inherent in using technology. This lack of widespread engagement and understanding perpetuates a system that exacerbates the chasm between privileged and underprivileged communities and places unnecessary boundaries on innovation rather than promoting positive change. This working group will identify, amplify, and augment work being done to explore the effects of emerging technology and cybersecurity concerns on communities of color; promote the engagement of communities of color in the national and international discourse on relevant issues; and explore equipping communities of color to enter the workforce of the future. See the article by Camille Stewart, highlighting the WCAPS working group on cybersecurity and emerging technologies, “We Won't Let Women of Color Get Left Behind in Tech,” here.